The new Honda City was unveiled today (11/10/2005) after a marketing campaign to build up hype for it for the past month or so. This new facelift is known as the Honda City ZX in Thailand. Here I will list some key differences between the new Honda City and the old Honda City here in Malaysia. For the exterior, the front bonnet has been raised by 30mm to reduce the unbalanced appearance of a short bulging front. There is a new front grille and the bonnet now has stronger design lines to it, with a less bulging curve. 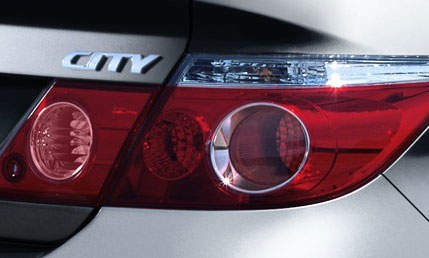 The rear brake light clusters have also been updated to a new design, with some parts of the light extending onto the boot lid itself instead of just flanking the boot lid. The sports rims design has also been updated. The new rims have the same design, but are 6-spoke for the i-DSI model and 7-spoke for the VTEC model. The redesigned front bumper now has fog lamps, which were missing on the old City and had to be added by 3rd party usually. Once you get into the cabin, you will immediately notice the new meter panel which are self-illuminated like Toyota’s Optitron meters. 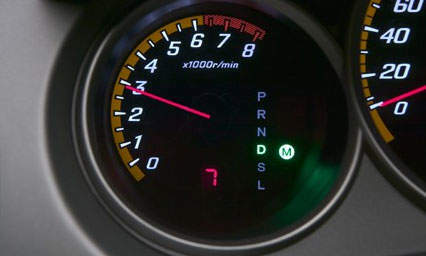 The gear indicator has also been moved to the left-most meter instead of the previous right position. Logical, as now you can see which gear you are in when you are manual mode, and keep your eye on the RPM easily. 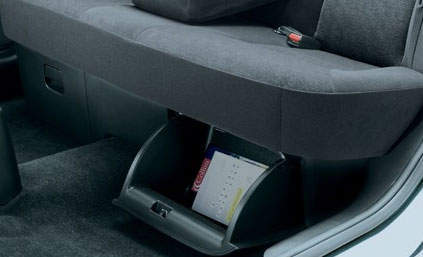 The VTEC model doesn’t have Ultra Seats anymore, but the new standard seats have storage compartments under the seat. I assume this is a measure to save costs after surveys have shown the VTEC model buyers don’t really have much regards for the Ultra Seat. This translates to a lower price hike for the VTEC model which you will find at the end of this article. The i-DSI and VTEC engines are still the same, but the CVT gearbox gets some reprogramming to offer a sportier driving experience. Same goes to the suspension tuning. All this ‘sportiness’ is to attract young buyers, which Honda hopes forms the bulk of Honda City owners. Just for a quick recap, the i-DSI 1.5 engine is a SOHC 8 valve unit with dual spark ignition and makes 88hp at 5500rpm and 120Nm torque at a low 2700rpm. That sounds so diesel-like. The VTEC 1.5 engine is a SOHC 12/16 valve unit. The engine works on 12 valve mode at low speeds and once VTEC is engaged it switched to 16 valve mode. It makes 110ps at 5800rpm and the 143Nm torque at 4800rpm. There are also two new colours, Satellite Silver Metallic and Habanero Red Pearl. Other colours include Artic Blue Pearl, Alabaster Silver Metallic and Nighthawk Black Pearl. How much will it hurt your wallet? For Peninsular Malaysia, the new Honda City facelift i-DSI model costs you RM84,300.00 including insurance which is RM2,341.00. The new Honda City facelift VTEC model costs you RM89,300.00 including a RM2,471.50 insurance premium. This is a price increase of 2.9% for the i-DSI model and 2.7% for the VTEC model. For other region prices, check out Honda’s new Honda City page here. For more pictures of the Honda City, please visit these previous blog posts. Honda holds 7.1% share of the Malaysian automobile market. It sold 23,000 cars last year and estimates sales of 25,000 cars this year. It hopes to increase sales to 27,000 cars in 2006 and hopes the new Honda City will spearhead this sales increase. The Honda City currently accounts for 47% of total Honda sales in Malaysia.